Just like in humans, diabetes mellitus in pets means your dog or cat’s body is unable to produce enough insulin. Therefore, "the body cannot convert glucose, or sugar, into energy," as the American Animal Hospital Association (AAHA) explains. "This creates toxic compounds called ketones that, if left untreated, can result in serious illness or death." Without insulin the blood sugar stays very high, which triggers the body to drink more water to help eliminate the sugar in the urine. And even though they are eating, these patients are still very hungry because their body can not use the glucose like it should. 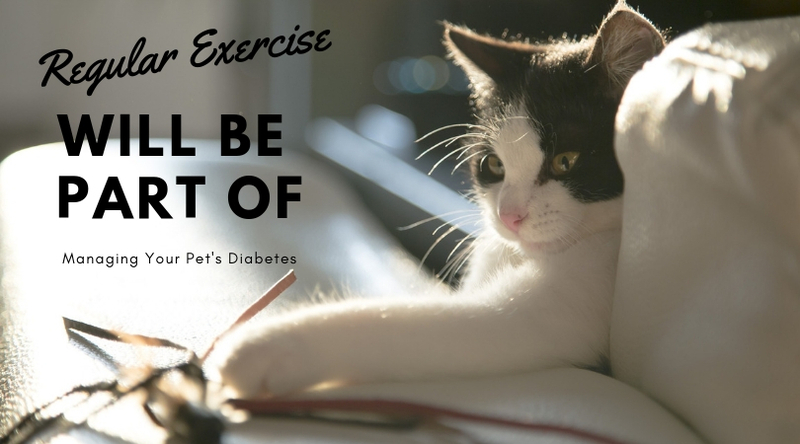 Managing diabetes in pets usually requires the same techniques as in humans: insulin dosing, special diets, and plenty of exercise. Fortunately, dogs can enjoy a high quality of life if you manage their diabetes well. Part of that management requires lifestyle changes in the diet and exercise realm. Most veterinarians will recommend a high-fiber, low carb diet for your dog because a high-fiber diet will keep your pet full without packing on the calories. It also helps regulate the blood sugar. 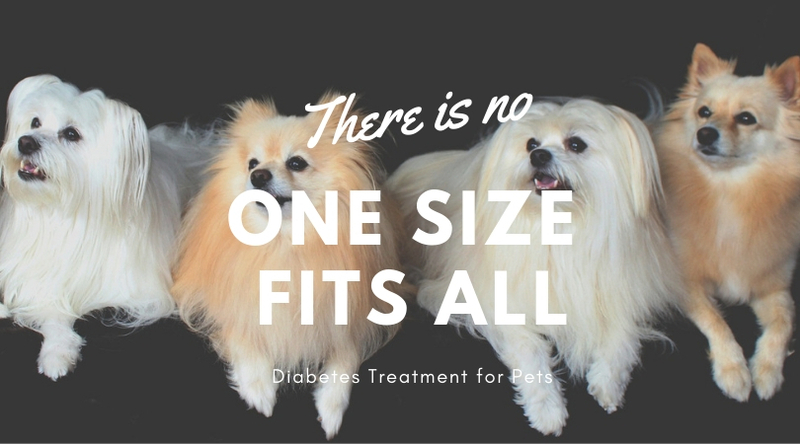 You’ll also learn how to manage insulin injections since most diabetic dogs require them. Most dogs are given an insulin injection twice a day. Dogs on insulin need to have a test called a glucose curve to be sure the dosing is correct. This entails giving insulin in the morning and feeding them their normal breakfast. They then come in and have their blood sugar tested every 2 to 3 hours through the day to see if the blood glucose is in the desired range, and insulin dosages can be adjusted as needed. Many pet owners tell us that giving an insulin injection is much easier than giving a pill because the needles are so tiny! Managing diabetes in cats can be more challenging because cats are often more finicky than dogs. Diet-wise, your veterinarian will likely recommend a high-protein, low carb diet because protein and fats are the natural diets for cats. Unlike dogs, they are true carnivores and do not metabolize carbohydrates well. In fact, many cats can overcome their diabetes with careful diet and short term insulin management. Besides diet and exercise, you’ll also learn how to manage insulin injections, and may learn how to test the blood sugar at home. There are some oral medications that may work as well. You’ll veterinarian will discuss appropriate options with you.